Welcome to my online studio and gallery where you can view my current available work at your leisure. I enjoy creating new work but I love it when my creations find their forever homes. My wish is that my adventures in the studio become much treasured artwork bringing joy to your home. All works are painted lovingly with professional artist quality acrylics on 100% gallery canvas. They are sealed with a quality varnish to protect the work. If you have any questions or would love to give any of my work a new home, I would love to hear from you. I accept credit card payments through square, and electronic transfers. This image reminds of our Thailand holiday. We were walking along Bangla Road in Patong. There were scores of people all enjoying the tropical heat and local sites. 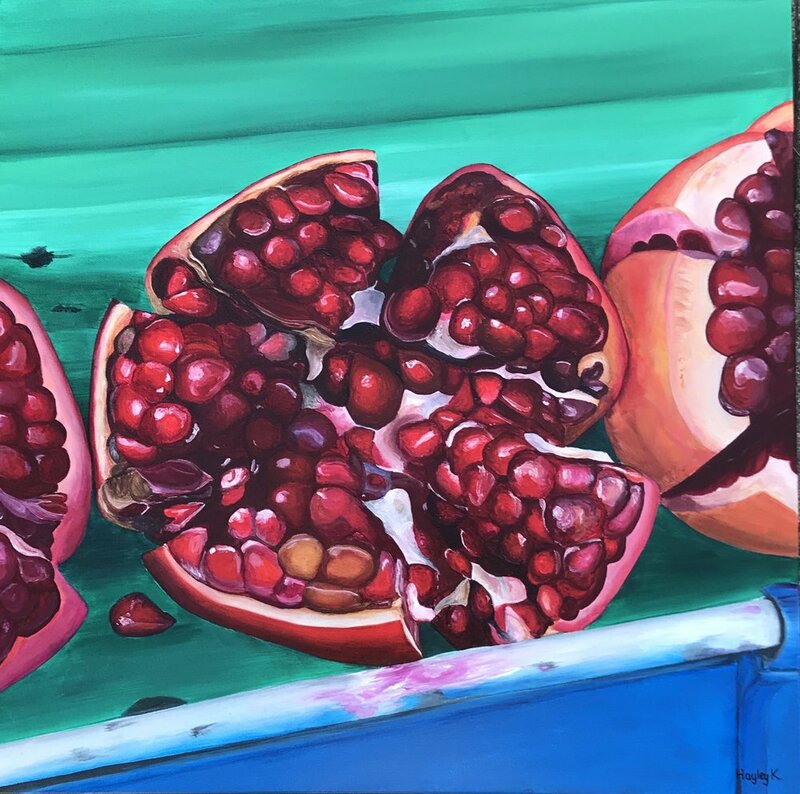 We can across this vibrant vendor with rows of gorgeous jewel-like pomegranates almost the size of my little girls head, bursting with tasty little pockets of flavour. In my practise I experiment and push my boundaries all the time. 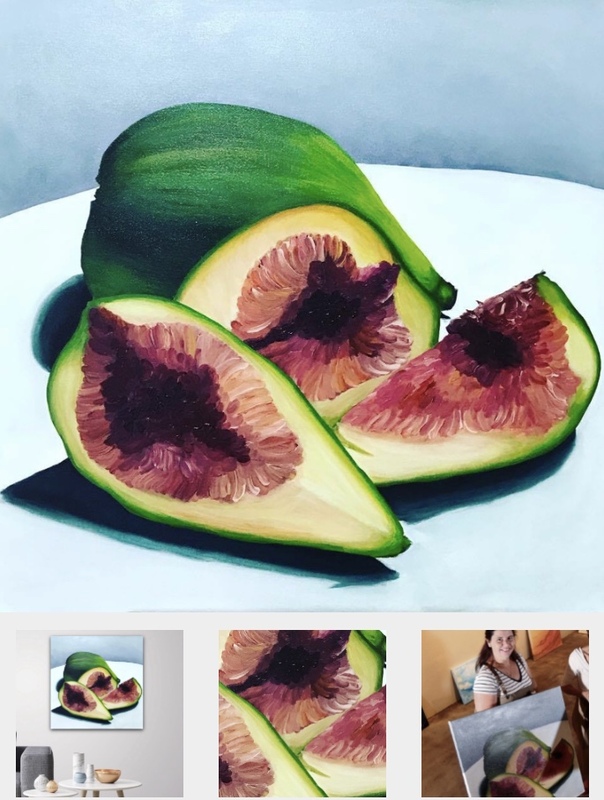 I keep an art journal for my own enrichment and this is the fruit of applying those techniques on to canvas. This rose was taken at Patsy Durack's garden in the Perth Hills, Western Australia. I just love dahlias. They make me deliriously happy. "Be deliriously happy or at least leave yourself open to be." ~ Bill Parish (Anthony Hopkins) in Meet Joe Black. "A rose by any other name would smell as sweet." ~ William Shakespeare. The smell of a rose invokes feelings of romance, love and abundance in life. 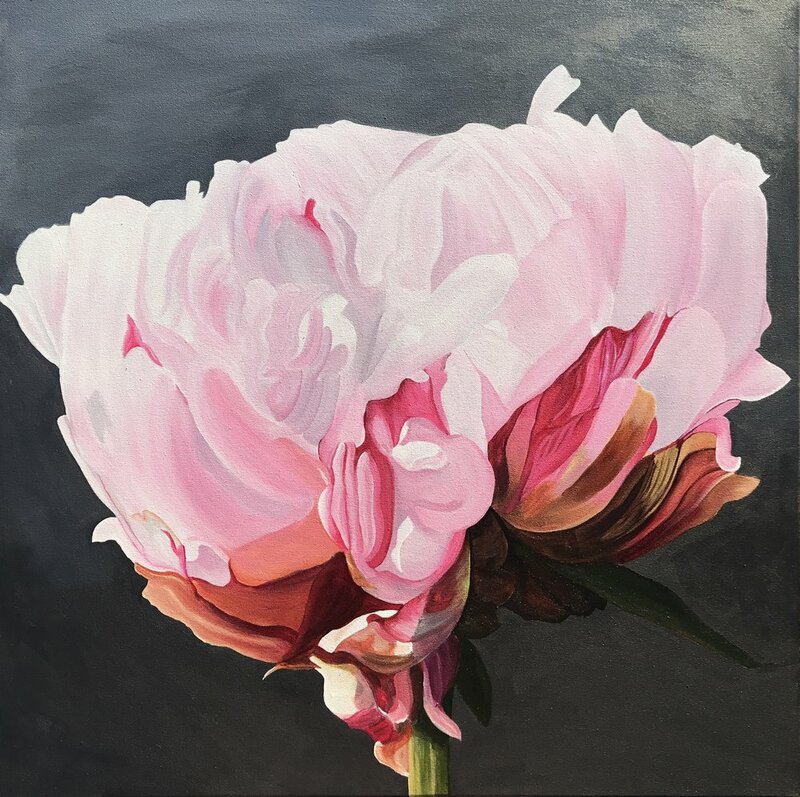 I loved painting this gorgeous peony. It was at a workshop in an old classroom at a stunning art centre in WA. The light was streaming in the windows and there was a beautiful old tree bringing much positive energy to the experience. I love the magic that the peony flower promises. Peonies represent riches and honor. With their lush blooms, peonies embody romance and prosperity and are regarded as an omen of good fortune and a happy marriage. I love the ethereal feel of the afternoon sun dancing on the petals of this apricot rose. It has a dreamy quality, like satin sheets glowing in candlelight. This magical mauve rose was photographed on a family camping trip down South in WA. There is beauty wherever you go. "It's delightful, it's delicious, its de-lovely." ~ Cole Porter. This picture was taken in the Perth Jolls on a glorious spring day. Magnolias are associated with nobility, perseverance, dignity and a love of nature. The magnolia tree is a symbol of magnificence because of its impressive height and enormous flowers. Magnolias given as a present from a man to a women means, “You are worthy of a beautiful magnolia.” A magnolia symbolizes femininity. Spring is my favourite time in the Swan Valley, Western Australia. The fabulous Julia rose boasts an array of beautiful hues from peach and apricot to a gorgeous rich coffee colour depending on where it is growing and the light it is captured in. Fresh quinces from the garden. Pears provide for dramatic still life work. I love their voluptuous shapes and they are pretty delicious afterwards with cheese and biscuits. This stunning King Protea botanical print from Hayley Kruger perfectly complements a simple, minimal space, creating an atmosphere of calm and freshness. Using botanical art in your space is also a lovely homage to stunning Australian wildlife. Sometimes a simple gesture is all you need to illustrate the feeling of love – whether it’s innocent, reciprocated, tragic or complicated. 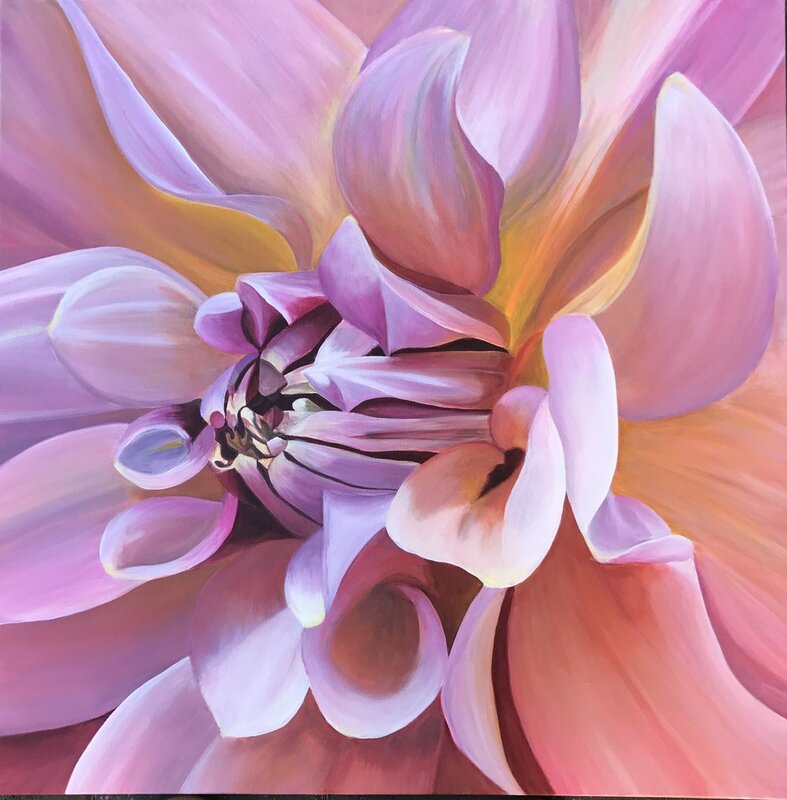 Transcendence by Hayley Kruger portrays the vast spectrum of love through a flower. “This is not a conventional ‘I love you’,”says Hayley. “Orange roses are usually a combination symbolising desire, enthusiasm or pride. These innocent experiences of love, although naive, produce some of the rawest and most honest emotion we can experience as humans.